The 2018 Dutta Corp. Fair Hill International (FHI) was buzzing with excitement Thursday as International competitors and young horses performed their dressage tests. By day’s end Bobby Meyerhoff led the way in The Dutta Corp./USEF CCI2* Eventing National Championship with his own Almanac. Meyerhoff piloted the 9-year-old Hanoverian straight to the top of the leaderboard on a score of 26.3. Nicknamed “Maniac” in the stables for his occasional erratic behavior, Almanac impressed the judges, and his rider, with his relaxation despite the blustery weather. Only one tenth of a point behind, Caroline Martin is hot on their heels with her own Cristano Z. The 9-year-old Zangersheide earned a score of 26.4. Third place belongs to Jenny Caras and Fernhill Trendy, a 7-year-old Irish Sport Horse, on 27.1 points. 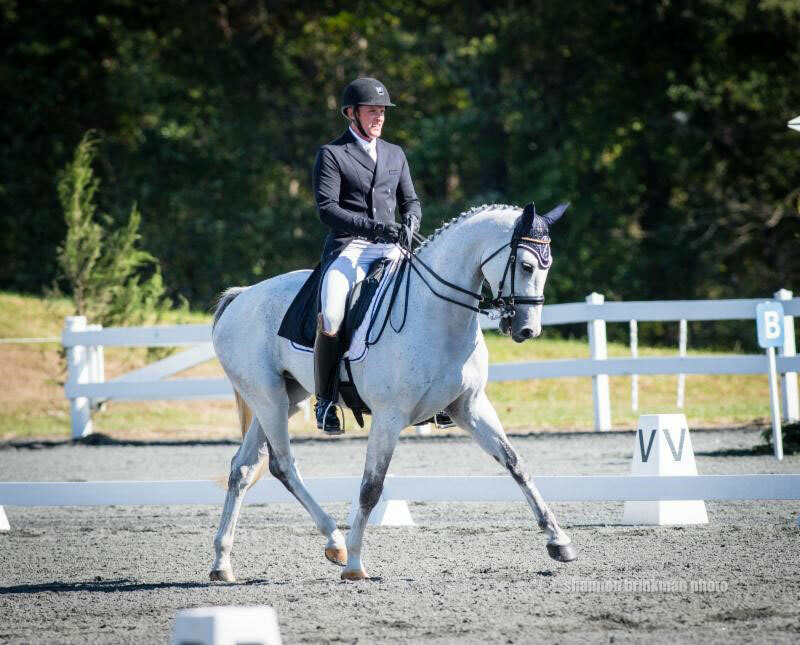 Talented youngsters also began their competition Thursday in the dressage and conformation portions of the USEA Young Event Horse East Coast Championships. Courtney Cooper and Neal Camens’ R River Star took center stage in the 4-year-old division, and Tim Bourke’s Quality Obsession topped the 5-year-old class. Quality Obsession, a Dutch Warmblood mare by Zambessi, scored a 24.19% (out of 30%), but the highlight was her dazzling conformation score of 8.95% (out of 10%), which was the best of the day. The judging panel of Sally Ike, Lucinda Green and Chris Ryan awarded R River Star, an Irish Sport Horse/Dutch Warmblood (Riverman x R Star), a score of 24.75% to lead the 4-year-old division with Cooper in the tack. Dressage continues Friday, October 19 as Dutta FHI welcomes the CCI3* riders and the second half of the CCI2* class, while the young event horses perform a jumping evaluation in the Saw Mill Field to conclude their Championship. The thrilling cross country phase will be held Saturday, October 20, and the show jumping finale takes place on Sunday, October 21. USEF Network will broadcast the CCI3* cross country live on Saturday, Oct. 20. Live streaming information is available at this link. The Dutta Corp. is proud to sponsor the U.S. Equestrian Federation and is honored that the USEF has chosen to provide a Dutta Corp. flight to the winner of The Dutta Corp./USEF CCI3* Eventing National Championship as the top placing U.S. rider in The Dutta Corp. Fair Hill International’s CCI3* competition. The Dutta Corp. Fair Hill International three-day event truly has something for everyone. Spectators can enjoy numerous demonstrations ranging from a Brendan Wise Horsemanship and pony drill teams, dog agility, face painting in the Kids’ Corner, a cross-country course walk, fantastic food options, and shopping in numerous vendor shops.